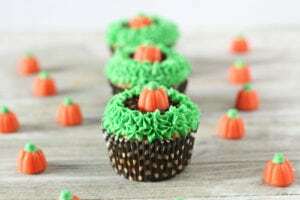 These fall cupcakes are so adorable and easy to make. Use a box cake mix to simplify this recipe and create cute pumpkin cupcakes in about an hour! The candy corn pumpkins are only available in the fall, so stock up now while they are in stores. I don’t eat a lot of candy, but these pumpkins are so addictive! They are one of my favorite treats. Occasionally I use pre-made frosting by Wilton. It’s already in the tube, so you don’t have to make your own and get out your piping bag and tips. While I think homemade frosting tastes better, I’m typically making cupcakes like these at the last minute, so anything I can do to save time works for me. 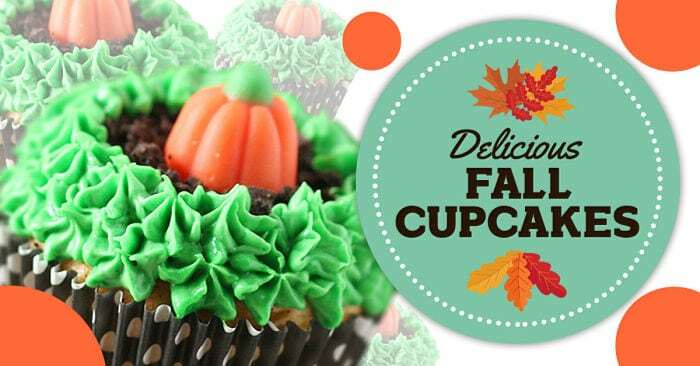 These fall cupcakes are perfect to make for a school party. The kids will love the candied pumpkin on top. 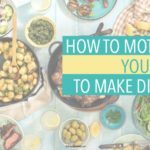 Use your favorite cake mix flavor in this recipe, I prefect chocolate! 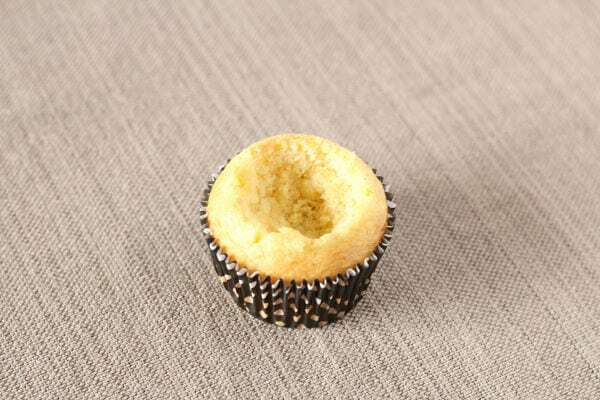 Once cupcakes have cooled cut the center out of each cupcake (3/4 of the way down). I used a spoon to scoop out the center. Gently press the hole down with you finger. Fill each cupcake center with fudge icing. 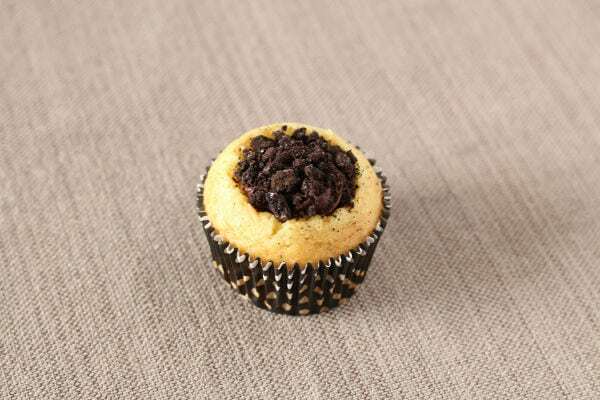 Place you sleeve of Oreos in a food processor and process into crumbs. Top your fudge icing with Oreo crumbs and place a candy pumpkin on top. Finally ice the remaining edge of your cupcake with green icing.